Resawing is a good way to get the most out of a piece of valuable wood such as this crotch walnut. 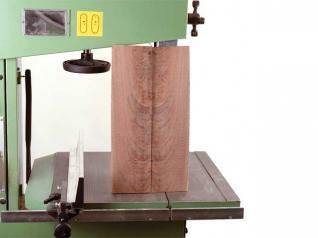 Resawing is the process of cutting a board through its width, making it into two or more thinner boards. Resawing thick wood into a number of thin slices is a great way to get the most out of rare wood. 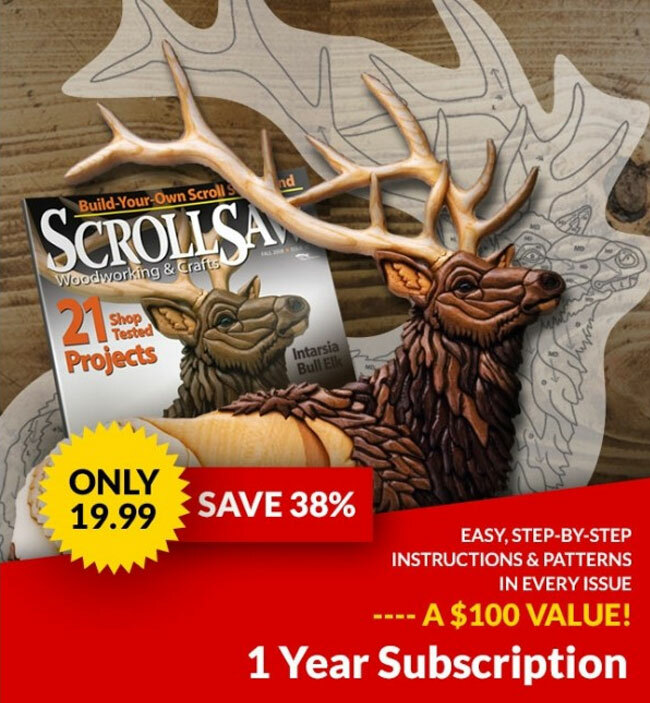 The ability to slice thick stock has broad appeal to the experimental woodworker because it greatly enhances your design abilities without requiring extra tools or accessories. Cutting thick stock puts maximum strain on both the blade and the machine. For best results, use the largest hook-tooth blade your saw can handle. Check your owner’s manual to determine what the maximum is for your saw. There are several blade configurations for resawing wood. Hook teeth cut aggressively, and their large gullets have the capacity to carry the waste through the stock. Start with a new blade or a newly sharpened one. As the blade dulls, the cutting speed will slow, and the tendency to wander or lead will increase; increasing the tension from the ½” to the ¾” level may help for a while, but when resawing, there is no substitute for a new, sharp blade. Before resawing, check to ensure that the table is square to the blade and that the face of the resaw fence is also square to the table. If the blade and the fence are both square to the table, they should be parallel with each other. 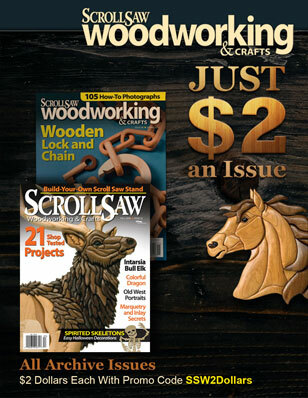 There are three frequently used techniques for making straight band saw cuts. One technique is to use the rip fence as a guide, but this requires you to adjust the fence to account for the blade lead. Another technique is to use a single-point fence to help guide the work freehand. The technique that I prefer, and think is the easiest to use, is a curved resaw guide, such as the Kreg fence, attached to the standard rip fence. This curved guide method is a hybrid of the two techniques. The advantage of the shop-made point fence and the aftermarket curved fence is that you can finetune the feed direction during the cut. This is necessary not only to compensate for lead or drift, but also because each board has a different density and may require a slightly different feed direction. These fences also avoid the annoyance of having to check for drift and adjust the fence angle each time you change a blade.